Because you’re a member of Flare Support, we’ve put together a special offer you won’t see anywhere else. 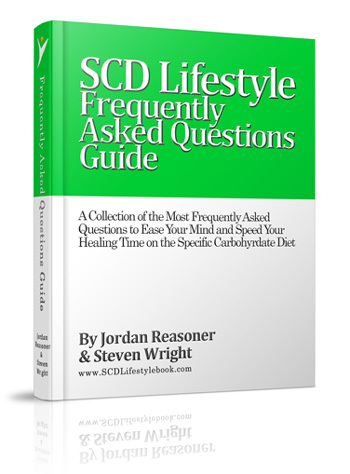 Learn how unconventional foods can unlock your body’s natural ability to heal and stop digestive problems from controlling your life. Diet Modification is not one size fits all approach – everyone is a little different when it comes to achieving a healthy gut. 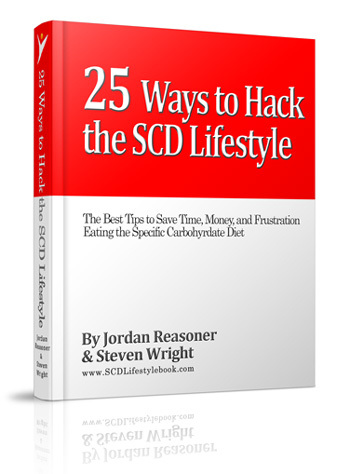 Some people can start SCD following the rules exactly and see great success – but many others such as us need a logically laid out customization program to heal their intestinal damage. 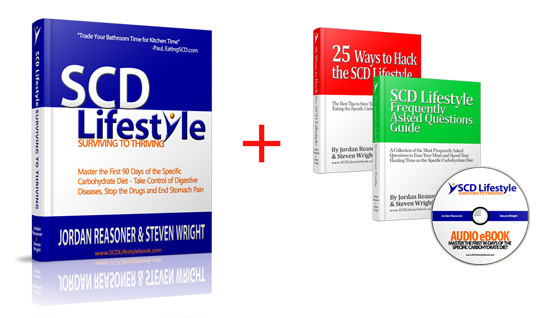 We designed our eBook package to be your blueprint for creating your own personal entrance ramp to merge on the superhighway of SCD health, so you don’t have to sit back and watch everyone else whiz by at 80 mph! Take our book anywhere you go! 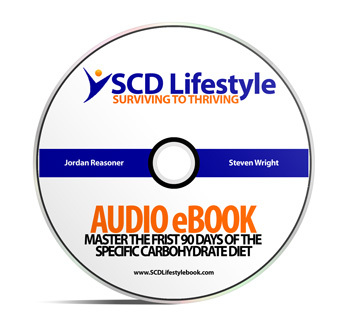 Whether you’re commuting to work, working in the kitchen, or relaxing listening to your MP3 player – you will be able to learn everything you need to know to master the Specific Carbohydrate Diet. We want you to be successful no matter what – so kick back and relax and listen to us read our book in the audio version to make sure you heal your gut and restore your freedom. These 24-week meal plans are built for people to get digestive relief as fast as possible. 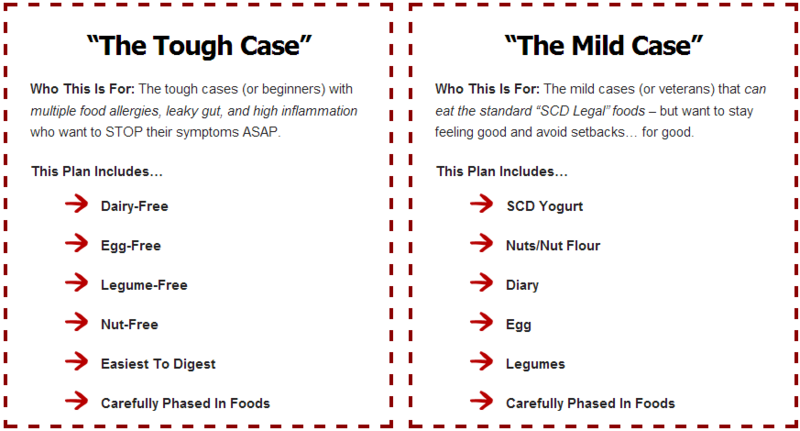 There’s even a version for “tough cases” that are Nut-Free, Egg-Free, Legume-Free, & Dairy-Free. 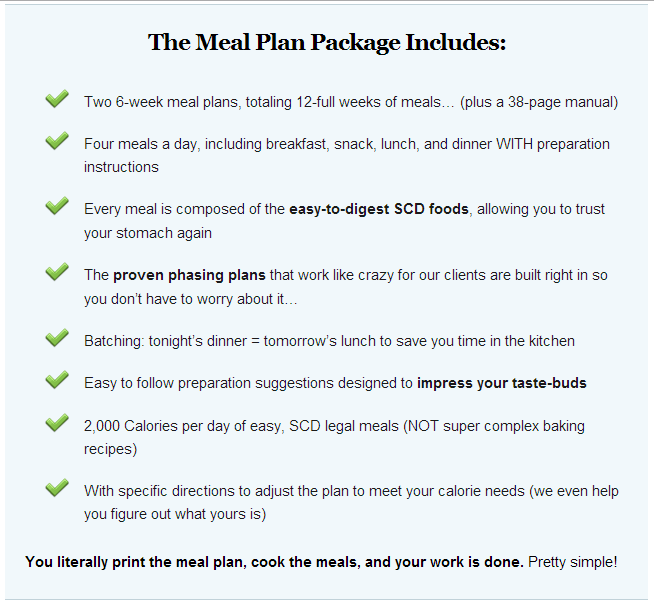 Each plan is balanced and includes calorie information so you can save time and energy as you reclaim your health. WAIT: Are These Meal Plans Right For You? That’s it, nothing more and nothing less. And YES, you can even use these if you’ve already been on the diet for a while (that’s where part 2 of the meal plans comes in). 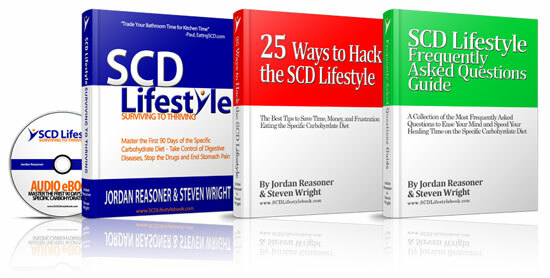 These are the most powerful tools we know of to change your health. 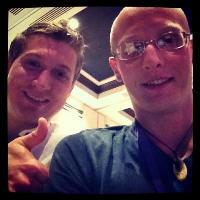 Together, they address each area required to build a strong gut, sound mind, and happy life. Risk Free and Fully Guaranteed! If you’re not happy just ask for your money back. We have a 30 day money-back guarantee on the meal plans and a 365-day guarantee on our eBook package (YES, that’s one year), so you can take your time and decide. We don’t want to keep your money if you’re not happy about this product. 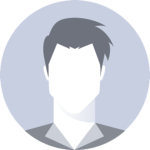 You will be taken to a page where you can fill in your credit card or PayPal details. This will be verified instantly and you will be sent to a page where you can download the information right after your credit card has been approved. P.S. – Thank you again for being a part of Flare Support. We look forward to working with you more in the future!